After Yoenis Cespedes’s fluky, swinging bunt single to lead off the 7th inning, it really did feel like we were watching a rerun. Not only had everything played out uncannily similar to last year’s NLDS to that point, but the stage was set for that to continue beyond, with Clayton Kershaw, pitching masterfully on three days rest (again), looking like he was about to get into some unlucky trouble (again). Even more uncanny was the fact that Lucas Duda, a power hitting lefty who normally can’t hit lefties all that well, was just 2 batters away, exactly as Matt Adams had been the year before. But this was a different year, and the Dodgers were facing a different team. The next batter, Travis d’Arnaud, fouled out to first base, and that alone gave a feeling that Kershaw, as well as the rest of the Dodgers, might have different luck this year. At least for one night, that proved to be the case. It wasn’t easy from that point forward, which made it all seem that much better when it was over. Duda would hit the ball pretty well to centerfield, but it was tracked down by Kiké Hernandez. Wilmer Flores, Met fans’ hero-in-waiting, crushed the ball down the line, as Justin Turner, the hero-in-action, snared it and threw to first, for an easy out. 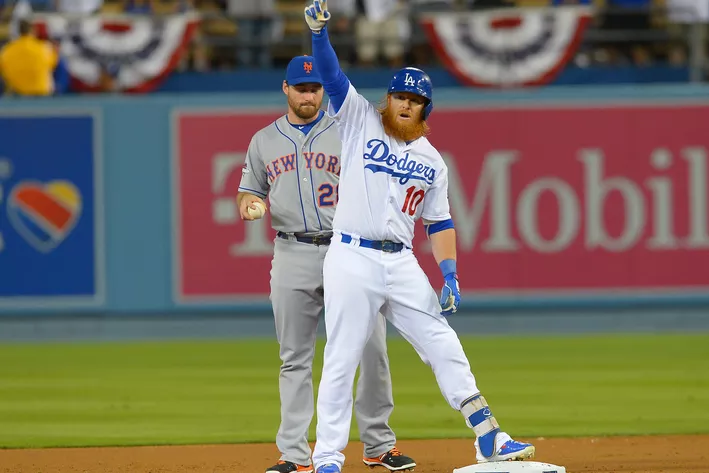 (As if the Mets needed ANOTHER reminder on “The One That Got Away”, Turner also hit what would be the deciding blow, a two run double, in the third inning.) And even Don Mattingly, the manager who can do no right, even when he does, would be able to live for another day or two, as all his pitching moves worked out perfectly. But this night wasn’t about Don Mattingly or Justin Turner. It was about Clayton Kershaw, saving the Dodgers season and quieting the critics, if not silencing them completely. The fact of the matter is, as Ron Darling pointed out on the TBS broadcast, much of Kershaw’s postseason “implosions” were due to bad luck. Even in game 1 this year, when he walked 3 batters in the fateful 7th inning, most of the pitches were pretty close. Baseball, more than any other sport, has a random quality to it that can almost be cruel at times. While Matt Carpenter and Matt Adams delivered the knockout blows squarely on Kershaw last year, everything up until both of those points were ground balls and soft line drives. It still amazes me that of those five singles prior to Carpenter’s epic (and for Dodger fans, TRAGIC) at bat, not ONE of them could find a fielder’s glove. This time, fate would be a little bit more kind to Kershaw, in no small part because Kershaw himself was incredible. The difference between Game 4 being “a nice little story” versus “one for the ages” for Kershaw, now lies with Zack Greinke. Facing Jacob DeGrom, a man who the Dodgers have done absolutely NOTHING AGAINST EVER, Greinke will probably have to be every bit as good as Kershaw was on Tuesday night, and perhaps a little bit better. 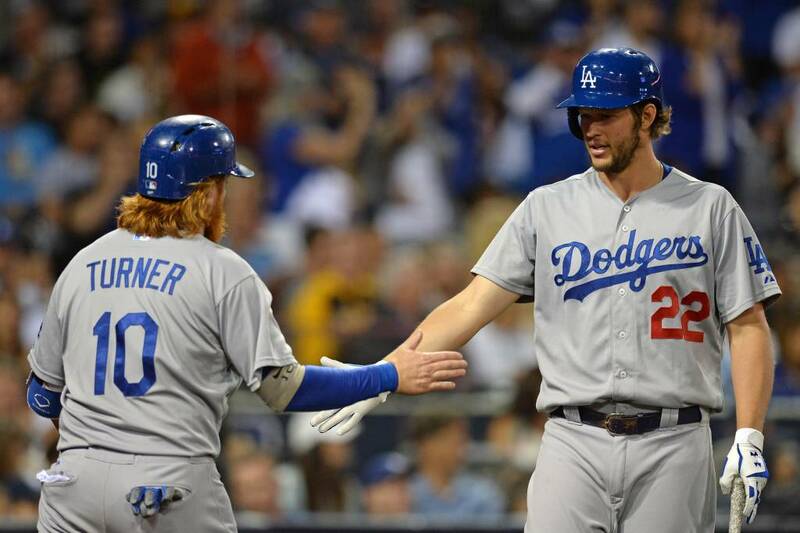 Chris Hatcher and Kenley Jansen will probably be relied upon again, at least if everything goes according to plan. There are eight guys in the lineup, so there’s no point in singling any one of them out for a breakout performance. And while I hope this next sentence serves as a jinx, don’t expect Corey Seager to suddenly stop looking like a rookie, against one of the best pitchers in the game. But no matter what happens, at least we know that this season will not end like 2014. Hopefully for the Dodgers at this time next week, it will not have ended at all.